There is a very creepy theme in most of Disney's movies, no mothers. If you look at all Disney movies old and new there is never a powerful mother figure. There may be a dark secret behind why.. 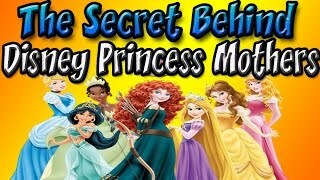 The real reason princesses in Disney movies always seem to be motherless might surprise you. Ariel from The Little Mermaid, Jasmine from Aladdin, Belle from Beauty and the Beast, and even Elsa and Anna from Frozen all have one thing common: They are motherless.